← Want to Go to the Circus? Decatur students and their parents will be participating in International Walk & Roll to School Day on Wednesday, October 7. Each school will organize walking school buses and encourage children to walk, bike or roll to school on this special day. Decatur has had a very successful Safe Routes to School program since 2005. Why does Decatur participate in Safe Routes to School? It contributes to a cleaner environment. It can help reduce traffic congestion by getting cars off the road. Consider this statement : “I would like my child to walk to school, but there is too much traffic so I drive her”. Be a part of the solution……reduce traffic around our schools by helping your child learn how to bike and walk safely to and from school. 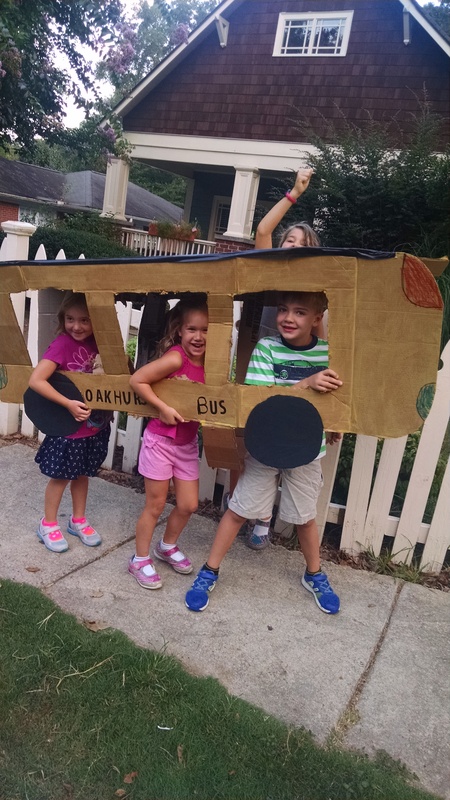 If you live too far to walk or bike school, ride the bus. Let’s all pitch in to make our community safer for everyone to walk and bike and get out of cars!